E3R’s regional newspaper write up! Recruitment agency is powering ahead after landing a number of multi-million pound contracts. Lindley-based E3 Recruitment, which specialises in providing permanent, contract and temporary staff at all levels in the engineering, manufacturing and technical sectors, has seen revenues soar after securing sole agency supplier and preferred supplier status with a number of leading clients within the automotive, food, FMCG and oil and gas industries. Through strategic partnerships and ad-hoc recruitment activities, E3 Recruitment have seen revenues increase by over 500% year on year, with a turnover for 2015/2016 projected to be in excess of £12m. 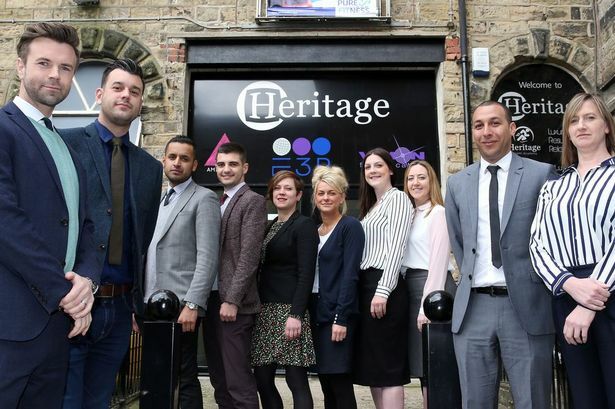 The firm, which has offices at Heritage Exchange in Lindley, has also strengthened the board with the appointment of Andrew Joseph who lives in Huddersfield. He has 13 years’ experience in engineering and manufacturing recruitment working with a range of clients from SME’s through to blue chip international business. He joins existing directors Tracie Norton, Andrew Pilling and James Soden in offering over 60 years combined engineering and manufacturing recruitment experience. E3 Recruitment is also embarking on its third year in business with a revamped logo, rebranding and a new website. It follows a project run by the company in conjunction with marketing students at Huddersfield University, who conducted market research on the firm among its clients. E3 is raising its profile further as one of the sponsors at Manufactured Yorkshire, which will be held on the June 9 and 10 at the John Smith’s Stadium in Huddersfield. E3 is the only recruiter to exhibit at the event and will also lead a seminar on the issue of skill shortages in the region and across the UK. He said engineering had been hampered over the last 10 years by the impression that it was perhaps not a career, but seen only as a trade. But he said: “We have seen salaries increase across all areas due to market forces of supply and demand. “It is also important to point out that we see many apprentices and graduates progress with the industry to become managers, project engineers and designers with the opportunity to earn substantial salaries when benchmarked against other industries.